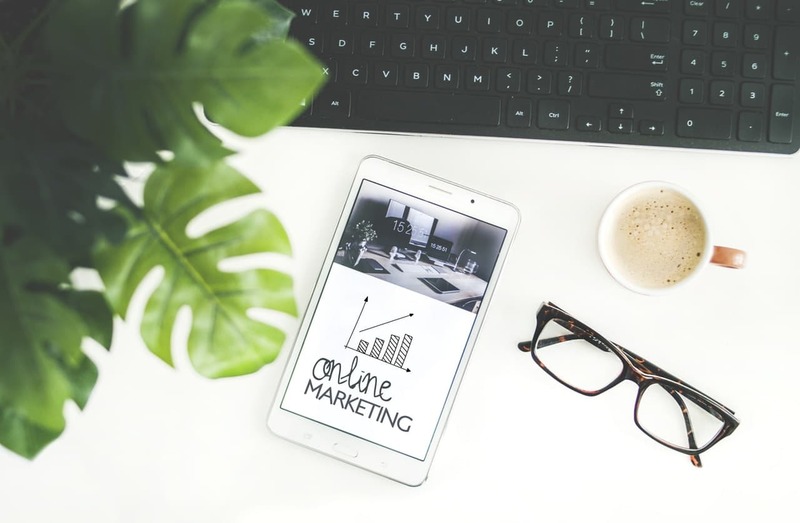 As we gear up for the new year with heightened expectations and projections, it’s worth remembering that your website, for most businesses and brand is the first line of contact between you and your customers. Improving your website conversion rate can greatly increase sales and revenue with little or no effort, you only need to understand how your visitors use your website and optimize accordingly. In this article, I’m going to show you 5 inexpensive ways to improve your website conversion rate using only a handful of free online tools and techniques to help you make the most out of your website in 2019 but first, let’s define what a website conversion rate is and how to calculate it. A website or landing page conversion rate is the percentage of people who perform an expected action on your website versus the total number of visitors. The formula can be written like this: (# of visitors who completed an action) / (total # of visitors) * 100. This percentage can be anywhere from 1% to as much as 15% or even higher. 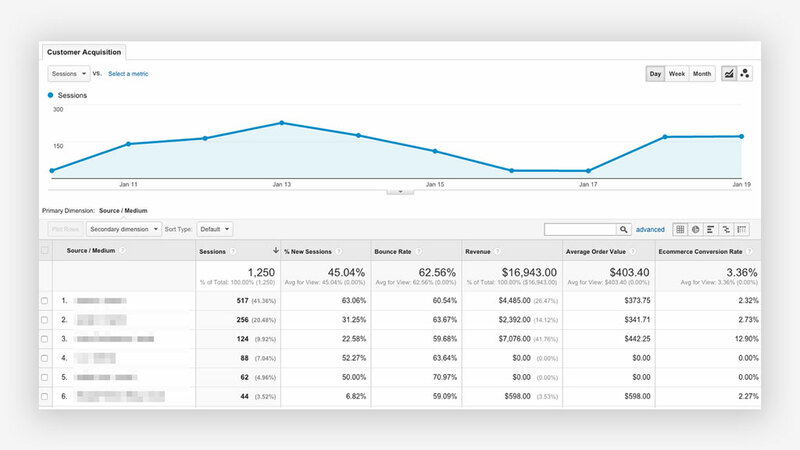 It’s not unusual to see some websites or landing page performing better than others based on their set KPI’s, but keeping an eye on your conversion rate can help you optimize your website to constantly improve your website conversion rate. Before we get started, it’s important that you first define your website’s key performance index (KPI). We’ve had clients walk up to us with a website design request without defining their KPI, so if you’re also struggling to find the right KPI for your website, here are a few to consider. Downloading a free resource like an EBook, trial software, music tracks etc. Whatever you consider as your website’s key performance index, be sure to clearly state it out at the very beginning so it can properly be optimized for. With that out of the way, let’s get to the business of the day and show you how to improve your website conversion rate. It’s a no-brainer that beautifully designed websites or landing pages perform better than their poorly designed counterparts. Even if you don’t have an eye for design, a quick 5-minute research to see what your competitor’s website or landing page looks like can ignite your creativity. 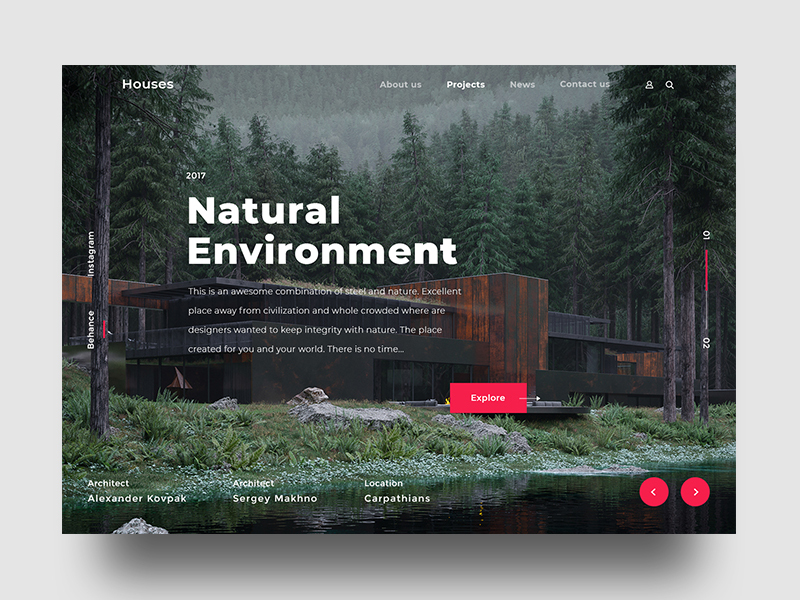 Use contrasting colours to emphasize important sections of your website like special offers, call-to-action buttons and newsletter signup forms. Conversions depend on many factors, but the actual appearance of your site and the feeling it gives people has a lot to do with whether or not they take action. Something as simple as using contrasting colours can make a big difference in the long run. Landing pages are a great way to improve website conversion rate. It’s a page on your website with content that addresses one specific area of your business, service or product. It should include a single call to action. Its entire purpose is to capture your visitor’s contact information or make a sale. A clear call to action (CTA) is a good way to have your visitors take immediate action on your website. 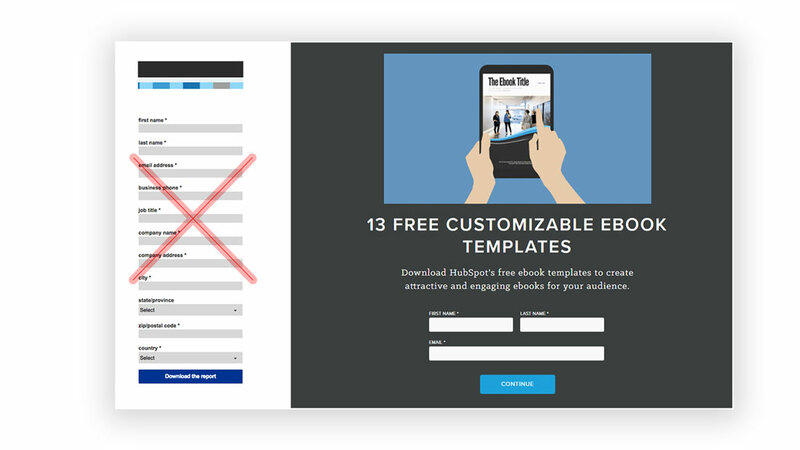 Whether you want them to watch a video, download or try a product for free or signup for your newsletter, using clear and concise call-to-action buttons with contrasting colours can greatly improve your conversion rate. 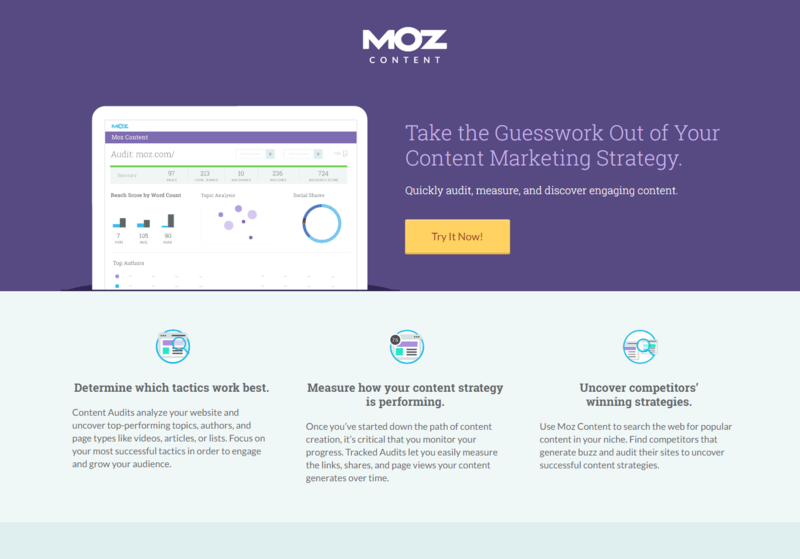 You can see an example of using high-contrast colours found on Moz.com landing page. If you are having trouble figuring out how to mix and match colours, a good online tool is Adobe Kuler Color Wheel. Using simple forms with fewer fields cannot be overemphasized. Every field you ask visitors to fill increases friction and the likelihood of them not converting. In most cases, you don’t need to ask for anything but their email address. In one study, an 11 field contact form was replaced by a 4 field version resulting in a 160% increase in form submission and a 120% increase in conversion. Keep your forms simple, more often than not, what you need from your visitors to make a sale, promote your service or engage with your brand is their email address, nothing more. 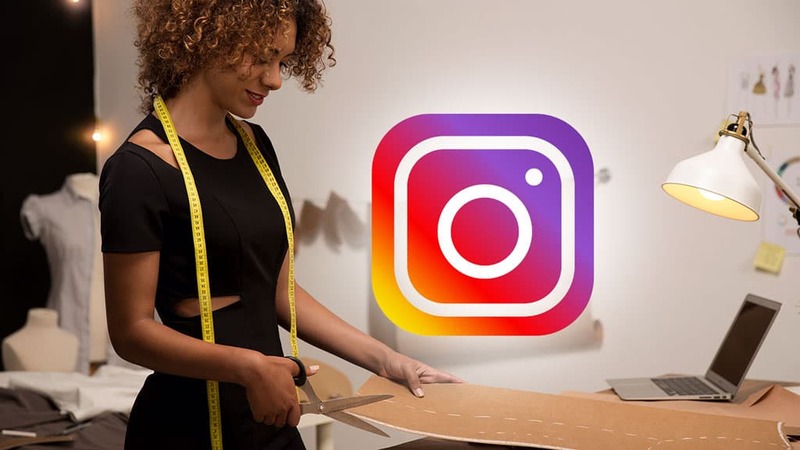 Using Google Analytics and Facebook Pixels Tracking, you can monitor traffic in and out of your website and optimize pages with high traffic to increase conversion. There are lots of options to consider when optimizing high-performing pages on your website, being able to identify those pages can result in higher conversion rate when optimized properly.